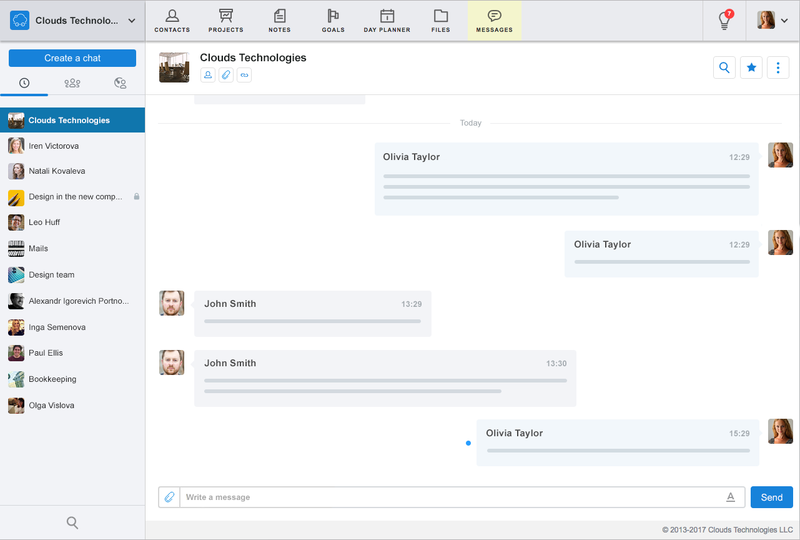 Employees communicate in person, by phone, email, SMS. Information is forgotten or lost. Complicated business processes make it difficult to identify problems and solve them on time. Permanent backlog and lack of priorities overload employees. 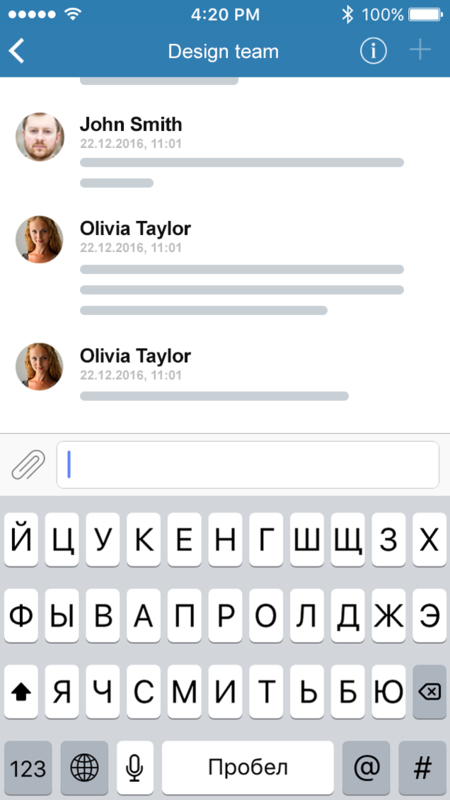 Section Messages allows you to correspond with colleagues in individual and group chat rooms, discuss projects, deals, contacts and tasks. Approval of transaction terms and clarification of information becomes simple and fast. Write a message to the person in charge and that’s enough. 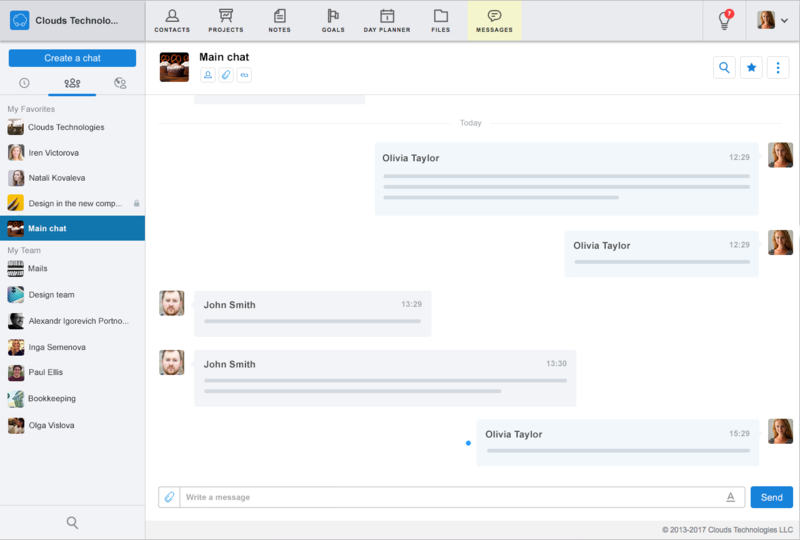 Smarty CRM allows you to chat with customers and partners. Invite them into the program and solve the issues. 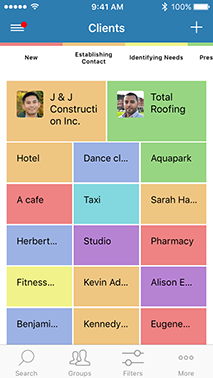 Contacts of company departments are in a single database with search and filters. Color indication allows you to track the stage of interaction. 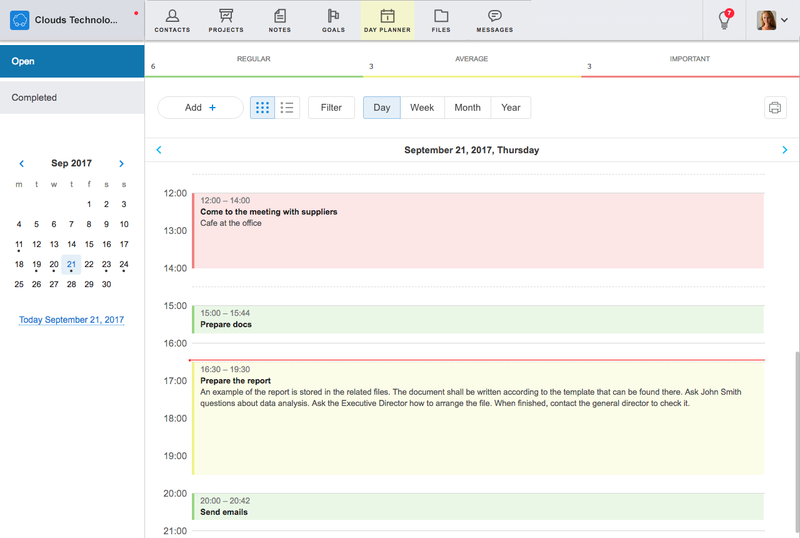 Smarty CRM helps to control sales from the first call to conclusion of the contract. Color and size of the card indicate the work stage and its importance. The system allows you to assign rights to a section, group, region or to a specific customer card. Employees do not see the sections they are not supposed to see. 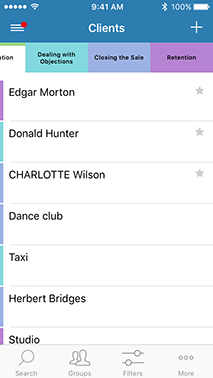 Create tasks in a couple of clicks out of contact, projects or dialog cards. 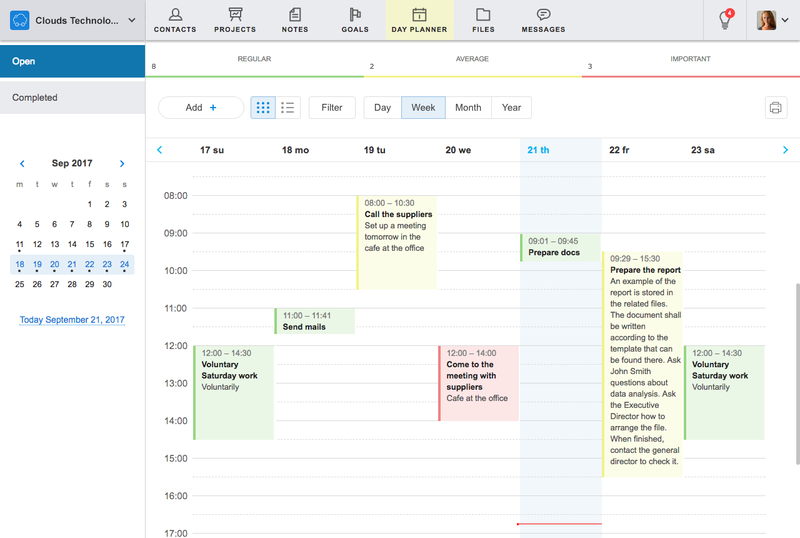 View tasks in the day planner for a day, week, month, year or list schedules. 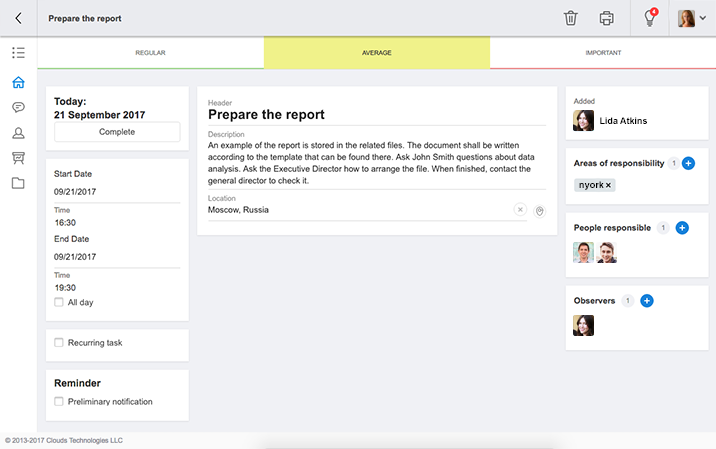 Delegate tasks using the tool People respondible and track execution. When a client contacts your company, he is entered into Smarty CRM. Work with loyal buyers. Save on ads. Systematically enter information about the client and you will clearly know his needs after a while. Sell additional goods and provide related services. Regular customers bring up to 80% of profits. Communicate with them directly and increase loyalty. Want to get more useful info? If the client's messages are not answered, he leaves. Browse managers replies, help them to work better. Information is encrypted, stored on separate servers and transmitted over https protocol. This eliminates its interception, even if you use a public Wi-Fi. Our service is available on smartphones and tablets. Download apps for Android, iOS and Windows and stay in the know. 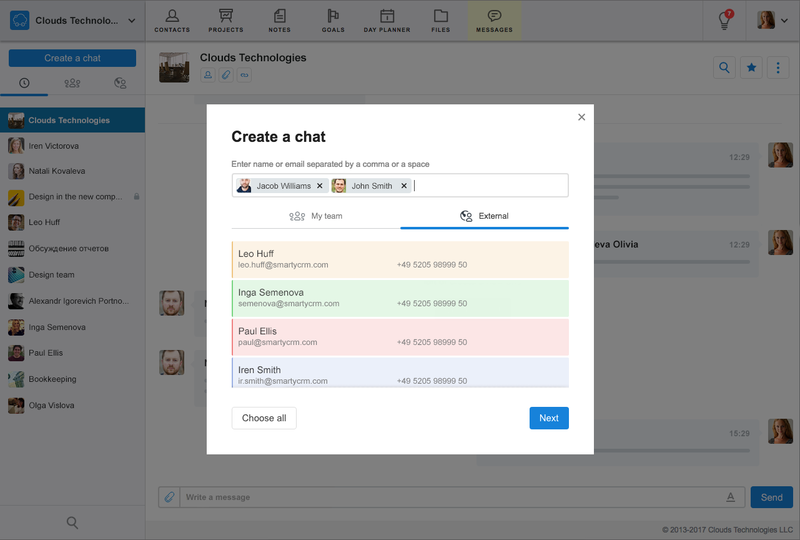 Try all Smarty CRM tools for free. 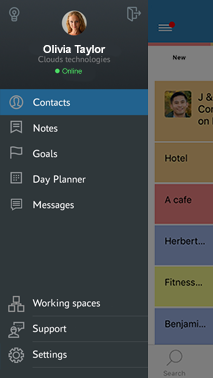 Invite colleagues, start teamwork, assign tasks, set goals and take notes. 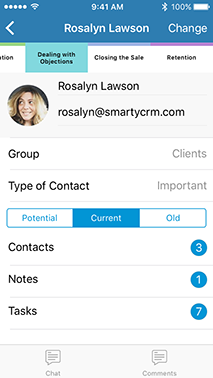 Want more info about Smarty CRM?